Mulberry Type LB conduit body of trade size 1-Inch, is suitable for use with rigid and IMC conduits. It features die-cast aluminum construction with powder-coated finish for corrosion resistance. 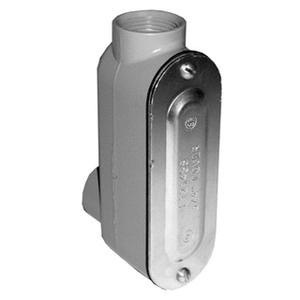 This left back access conduit body with threaded connection, has two 90-degree hubs. It comes with cover and gasket. Conduit body is UL listed.